Click Play to View Our Sunman-Dearborn Video. Thank you for visiting our website and for your interest in Sunman-Dearborn Community Schools. 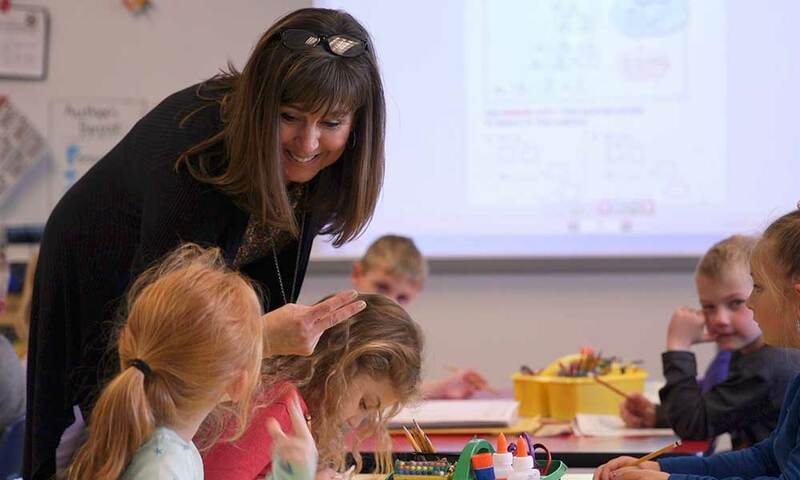 We are one of the top-rated school corporations in the state by the Indiana Department of Education and the top-rated school corporation in the southeast Indiana region. On the most recent state report card, Sunman-Dearborn Community Schools received an "A" rating. In addition, Bright Elementary School and Sunman Elementary School received a "C" rating, North Dearborn Elementary School received a "B" rating, Sunman-Dearborn Middle School received an "A" rating, and East Central High School received an "A" rating and Four-Star School status, recognizing the school as one of the top performing high schools in the state. This accomplishment is a testament to the hard work of our teachers, support staff, administrators, students, and parents. But we won't stop here. 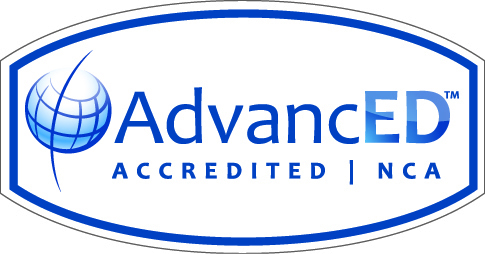 Our goal is to continue to improve until all schools receive an "A" rating, and achieve Four-Start School status. 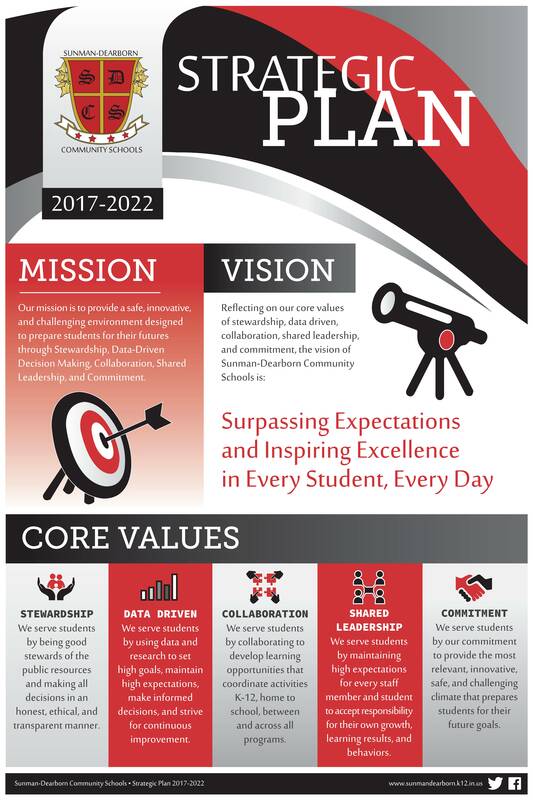 For more information about our vision for the future of Sunman-Dearborn Community Schools, visit our Strategic Plan webpage. It is not just the Indiana Department of Education that has recognized our excellence. Cincy Magazine completes a comprehensive rating of all the suburbs in the Greater Cincinnati area. Over the past several years, Sunman-Dearborn Community Schools has made their list of top schools. For the 2015 edition, Sunman-Dearborn Community Schools was rated #6 in the entire Greater Cincinnati suburban area. 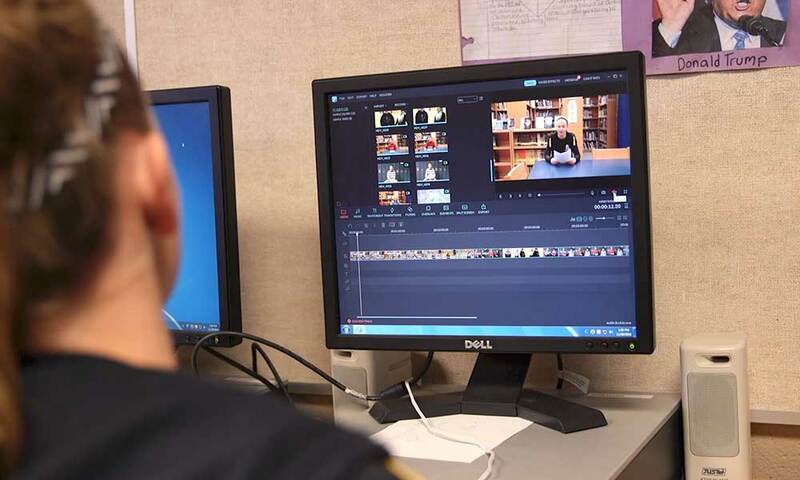 The students of Sunman-Dearborn Community Schools not only excel in the classroom but outside the classroom as well. 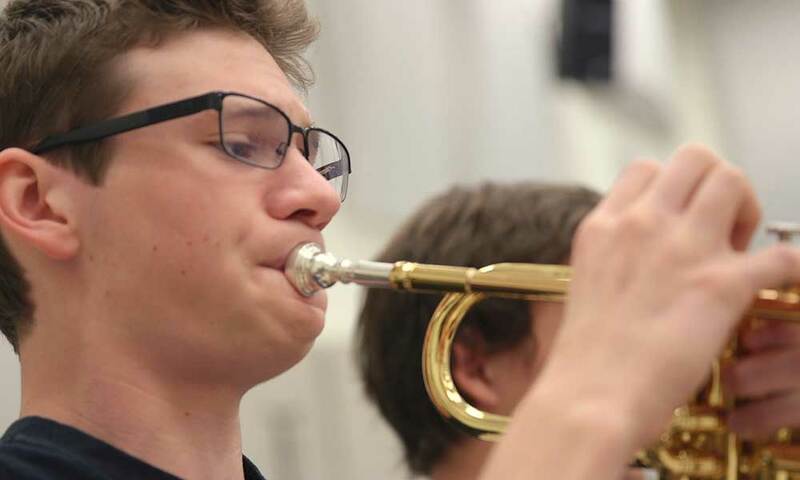 We offer a full range of extra-curricular and co-curricular activities including athletics, fine arts, academic teams, vocational and agricultural programming, and much more. 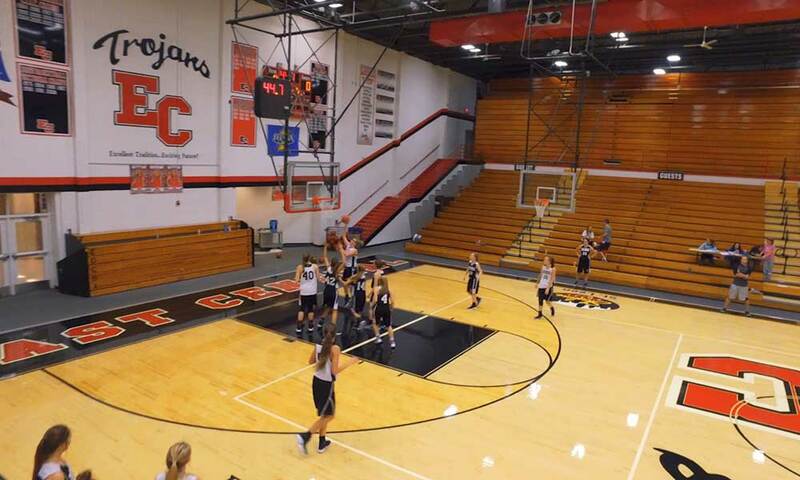 We are able to offer this wide array of programming in state of the art facilities. Stop by and see us, and you will see why we say we are "Surpassing Expectations and Inspiring Excellence in Every Student, Every Day!" The best strategic plan is a strategic plan that is followed. To that end, one of the purposes of the new 2017-2022 strategic plan is to create a plan that is succinct, easily communicated and understood, and monitored. I am proud to present the Sunman-Dearborn Community Schools Strategic Plan and am especially grateful to the parents, staff, teachers, administrators, and board members who worked several months creating our plan. The five elements combine to set a direction and course as we continue to improve our schools and provide a top-notch education for our students. During the first session, the team met to develop our core values. The core values were developed through a consensus building activity and were developed first in order to guide the development of our core value statements, vision, and mission. Each core value statement starts with “We serve students...” During the second and third sessions, the team developed the vision and mission. We serve students by being good stewards of the public resources and making all decisions in an honest, ethical, and transparent manner. 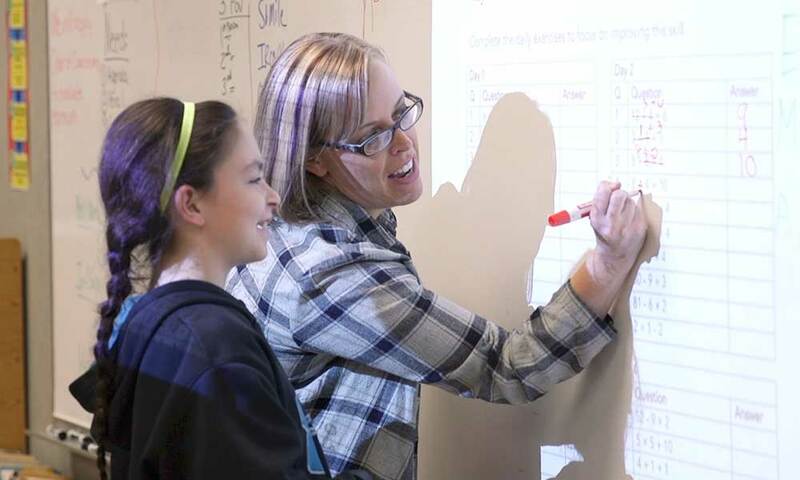 We serve students by using data and research to set high goals, maintain high expectations, make informed decisions, and strive for continuous improvement. 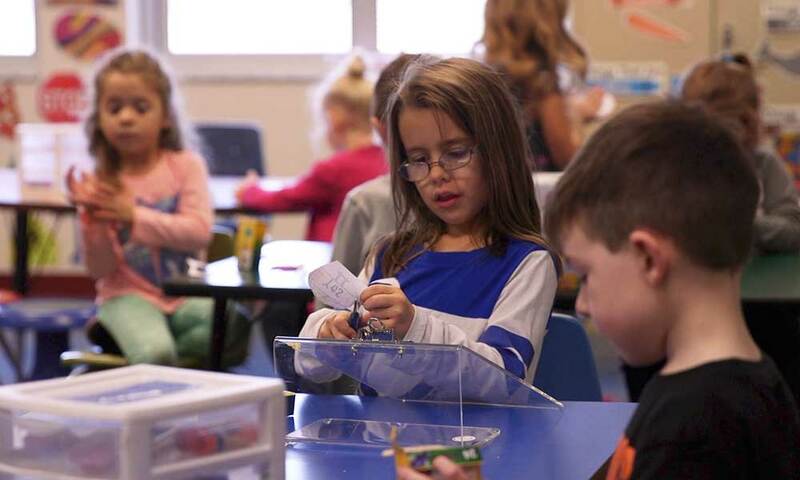 We serve students by collaborating to develop learning opportunities that coordinate activities K-12, home to school, between and across all programs. 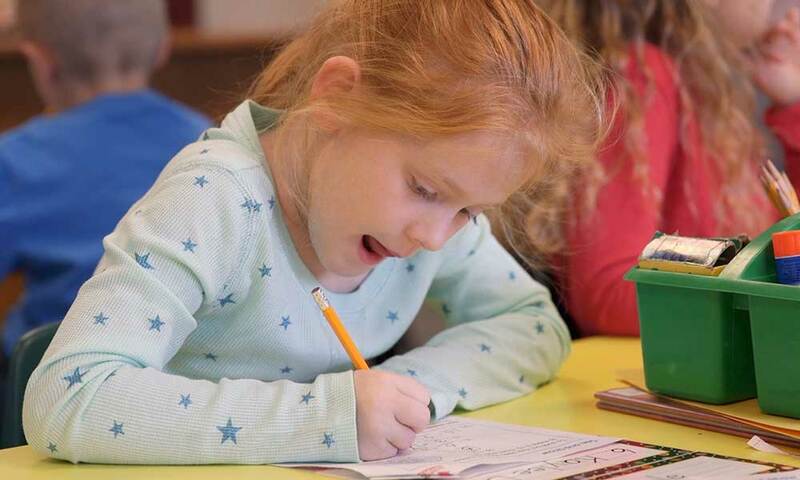 We serve students by maintaining high expectations for every staff member and student to accept responsibility for their own growth, learning results, and behaviors. We serve students by our commitment to provide the most relevant, innovative, safe, and challenging climate that prepares students for their future goals. Our mission is to provide a safe, innovative, and challenging environment designed to prepare students for their futures through Stewardship, Data-Driven Decision Making, Collaboration, Shared Leadership, and Commitment. During the fourth session, the team used various data to complete a SWOT analysis. By analyzing the school corporation's strengths, weaknesses, opportunities, and threats, the team was able to develop the following objectives and goals. Click HERE for updated graphs on our objective and goals. Increase performance and surpass previous growth as measured by the Indiana State Accountability components in order to rank in the top 15% of all school corporations. Develop a culture that recognizes and appreciates the value of every individual in a safe environment. Balance financial responsibility with providing diverse and effective programming for our students and competitive wages and benefits to attract and retain quality employees. Promote, integrate, and support innovative technology within the school community while utilizing current devices and robust infrastructure with cohesive technology systems. 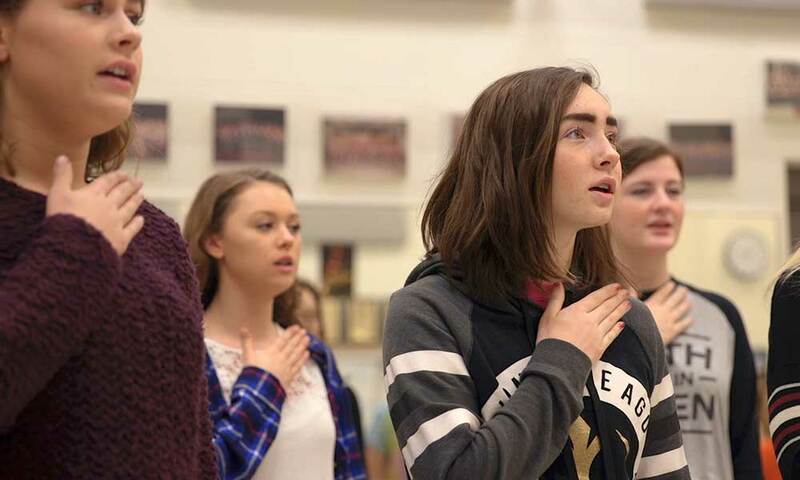 By the release of the 2022 state assessment results, all schools will achieve the performance rating of an A and earn Indiana Four-Star status. By the release of the 2022 state assessment results, all grade levels will achieve a passage rate of 80% or higher on the state assessment. By the beginning of the 2018-2019 school year, at least 60% of all assessments will be administered through a technology-based assessment system. 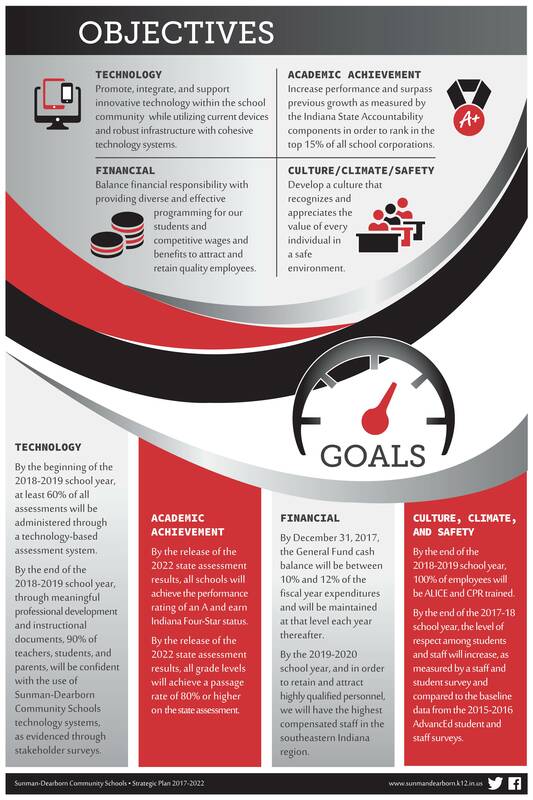 By the end of the 2018-2019 school year, through meaningful professional development and instructional documents, 90% of teachers, students, and parents, will be confident with the use of Sunman-Dearborn Community Schools technology systems, as evidenced through stakeholder surveys. By December 31, 2017, the General Fund cash balance will be between 10% and 12% of the fiscal year expenditures and will be maintained at that level each year thereafter. By the 2019-2020 school year, and in order to retain and attract highly qualified personnel, we will have the highest compensated staff in the southeastern Indiana region. By the end of the 2018-2019 school year, 100% of employees will be ALICE and CPR trained. By the end of the 2017-18 school year, the level of respect among students and staff will increase, as measured by a staff and student survey and compared to the baseline data from the 2015-2016 AdvancEd student and staff surveys. Members of the Strategic Planning Committee believe we have the students, parents, staff, teachers, and administrators to become one of the top-performing school corporations in the state of Indiana. Our plan is concise, forward thinking, and aggressive. Most importantly, our plan is student centered. 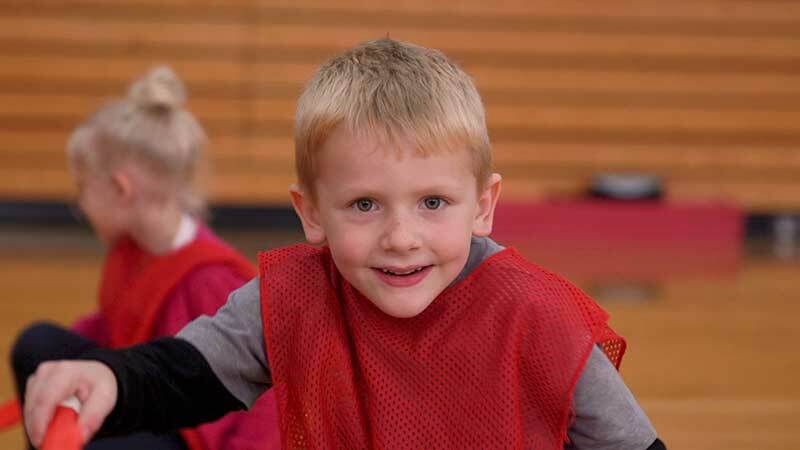 “We serve students...” And through our service to our students, we will become one of the top performing school corporations in the state of Indiana. *Posters designed by Katie Tekulve Designs, LLC. For more information about design services and to see samples of work, please visit www.katietekulvedesigns.com. Stakeholders from all school buildings, including parents, staff members, teachers, principals, board members, and central office administrators donated their time to meet and develop the strategic plan. Sunman-Dearborn Community School Corporation is making the switch to PowerSchool! PowerSchool Registration is now open! Access your Parent Portal, then click on School Enrollment to begin the process. For more information, watch the video for a step-by-step introduction to the online registration process. Per Board Policy 6150, Sunman-Dearborn will accept non-resident students. All non-resident students must apply for admission. All applications must be received by May 15. Admission is for one year, and students must re-apply each year. If applications for admission exceed the number allowable due to class size, students will be chosen through a lottery system. All applications received after May 15 will be considered on a first come, first served basis as space permits. Effective August 1, 2017, any student applying for admission after the date enrollment is submitted to the state for funding, known as Count Day, the student must pay an amount equal to the pro-rated amount of per-student funding the school corporation receives in state funding. Payments can be made on a monthly basis. If you are considering a transfer to Sunman-Dearborn Community Schools, we welcome you and encourage you to click on the information below to review and submit. Listen to the latest episode of the Superintendent's Podcast Internet Show, called SuperChat with Gary Puckett by clicking on the FlyPod image below.